Cittadellarte has defined the Demopractic Process in a document called “Demopraxy. Instructions for use”, originally published on the Art at the Centre of a Responsible Social Transformation magazine (Cittadellarte Editions, 2018). The term and concept, conceived by Paolo Naldini, have been presented for the first time in a publication in “The Art of Demopraxy”, in Art at the Centre of a Responsible Social Transformation (Cittadellarte Editions, 2012). The document has subsequently been updated. It is conceived like a manual in progress, a methodological instrument in constant evolution, mainly following the experiences carried out throughout its application. it is time to recognize the fact that political power doesn’t solely reside in institutional forms elected on the basis of representation, but mainly in thousands of organizations (associations, companies, foundations, consortiums, committees, work groups and so on); people spend their lives in them, and every day these organizations make choices, take decisions which will have an actual impact on themselves and on the lives of their customers or clients, their partners, their members and often their families too. Each organization is a micro-government spread across the social fabric. Their practices have in fact a far-reaching power. The dream of democracy is fulfilled through civic, civil and daily practices. If the demos, that is the people, will come to really have power, cratòs, it will be through the organization of their practices. It is therefore time to talk about Demopraxy, to accomplish the original project (and reiterated promise) of democracy. Cittadellarte and the Embassies of the Third Paradise acquire this vision as the main way to realize the Third Paradise. The Demopractic project was therefore born in Cittadellarte and has been developing through the Third Paradise Embassies. What are the Third Paradise Embassies? They are social organisms, i.e. people and groups, activating, coordinating and developing on their territories the most diverse activities in order to materialize what the symbol of the Third Paradise represents. Each of them has its own vocation, determined by the attitudes, inclinations, skills and profession of the Ambassador/dress: teacher, engineer, administrator, artist, architect etc. How can the Embassy start the Demopractic process? The process implies at least 4 operative phases. In the preliminary phase, each Embassy carries out a mapping of the organizations active on its territory. • The Embassy identifies a group of people in charge of MAPPING. This exercise leads to the delineation of a geography of the territory documenting every single organization, and to the gathering of the data of a substantial number of organizations to involve in the subsequent phases of the Demopractic process. The testimonies of these organizations must be collected and “made visible” through video interviews, photographs, texts, promotional and descriptive materials, emblematic objects and products. It can sometimes be useful to carry out the mapping through an open call. This collection of materials translates into an exhibition, possibly virtual if it is not in a physically accessible place, meaningful for the citizens and of the duration of a few months. The exhibition is communicated to the city, so that news of it spreads as widely as possible, mainly through the network of the mapped subjects. At this stage, it is instrumental to start a collaboration with professionals in research activities: universities, study centres, foundations, etc., and the city’s administrative offices. An agreement protocol is stipulated, ideally signed by all the promoting subjects centred around the Embassy: this defines the objectives, the commitment and the modalities of participation of each of them. • This marks the beginning of phase 2, the FORUM. The mapped organizations are invited to take part in the Forum, up to a maximum of 100. To participate in the Forum, each organization formally nominates a member to represent them. The Embassy, together with its partners and mappers, defines the EMERGING ISSUES around which to develop the Forum. They are critical and strategic areas identified through the mapping and presented to the participants and the city through the exhibition. The way a team of direct operators is formed in phase 1 (the mappers), the Forum requires the selection of FACILITATORS, a role for which the mappers can of course apply. Their job is to coordinate the activities of the work tables constituted in the course of the Forum. The Forum is held in a space where both the plenary session and the 10 work tables can be organized. 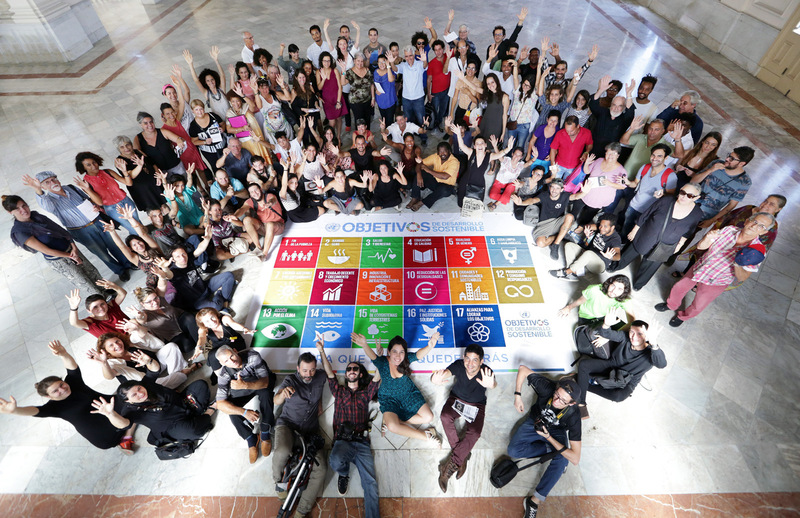 The plenary is conducted forming a circle of seats around a symbolic device: the symbol of the Third Paradise made of cubes representing the UN’s 17 Sustainable Development Goals was for example used at the first Forum, held in Havana in November 2016. The first two days of the Forum deal with the questions articulating the emerging issues in actual interrogatives. Alternating of plenary sessions and work tables run by the facilitators. The Forum concludes on the third day with a public session presenting the CHARTER OF THE FORUM, a list of propositions and planning intentions reflecting the positions of the participants. This Charter is an essential instrument for the continuation of the process. • This marks the beginning of phase 3, the WORKING SITE. The Working Site follows two parallel – sometimes coinciding – lines of development. The first one is the INTERNAL NEGOTIATION. Each participant in the Forum returns to their organizations and presents the Charter of the Forum. A process of discussion within the organization ensues. The propositions are accepted, discarded, contested, modified, enhanced. It is the structuring of the main channel of impact of the Demopractic process. The Embassy keeps in touch with all the 100 subjects who participated in the Forum, listens to and welcomes any feedback about the continuation of the work within their organizations. The second line of development of the Working Site is represented by the INTERMEDIATE FORUMS, work groups organized by the Embassy according to specific elements like themes, nature of the organizations, opportunities for shared projects, and other possible features allowing to form restricted work groups (of maximum 20 subjects). The intermediate Forums are constituted and meet with the aim of achieving objectives beyond the scope of the single organizations. Fundamental in the intermediate Forums is the participation of universities, study centres, research foundations. The objective of the intermediate Forums is an articulated and circumstantial proposal which the Embassy and its partners can take to the institutions. It is also important to establish a mechanism of exchange and integration so that, with the increase in the number of Forums in different areas, participants in a Forum are invited to take part in a Forum elsewhere, mutually sharing their experiences. • Finally, the Demopractic process enters phase 4, the AGREEMENT with the institutions. 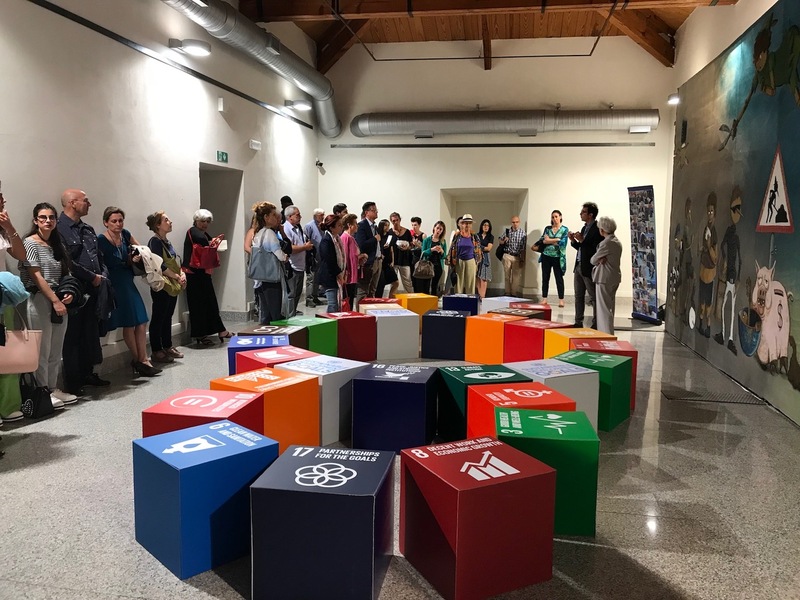 The experiences developed within each Forum and the relative Working Site are linked to the 17 Goals of Sustainable Development set by the UN, the political organization to be kept informed about our progress, through its regional and sectorial referents. Besides being in agreement with the world’s biggest political organization, the Demopractic process can interface with the local institutional system through its main administrative body: the city council. The characteristics of this collaboration are specifically defined instance by instance. In the course of the entire Demopractic process, the Embassy is provided with various tools, some of which have been developed and experimented since 2015, and are still currently applied in Cuba, Milan, Melbourne, Alghero (Italy), Rome, Ubud (Bali). The basic method is the principle of Trinamics, structuring the way deliberations are reached in the Forums, through a dialogue between different or even opposite visions, following the method of synthesising thesis and antithesis. As soon as they are defined and then articulated in the Working Site, they assume the nature of thesis, and are taken to following Forums so that they can be compared to other positions. This principle guarantees plurality, undogmatism, inclusion, diversity. the BULLETIN: a form of narrative (on line or on paper) documenting all the activities. We can therefore claim that Forums and Working Sites are devices activating the social fabric in their local contexts, providing the most diverse organizations with the opportunity to acknowledge themselves as demos, at the same time allowing activists and artivists to act on three levels: personal, social (as part of an association, company, NGO, etc.) and collective (as individual part of a collectivity). This form of daily direct and active commitment by citizens opens the way from democracy to demopraxy. Forums and Working Sites are therefore live laboratories of a social, artistic and cultural experimentation answering the need to change the way we conduct ourselves in every sector of our life, from work to the city we inhabit, from family to our work environment, from the market square to the assemblies of the organizations into which we bring our subjectivity.